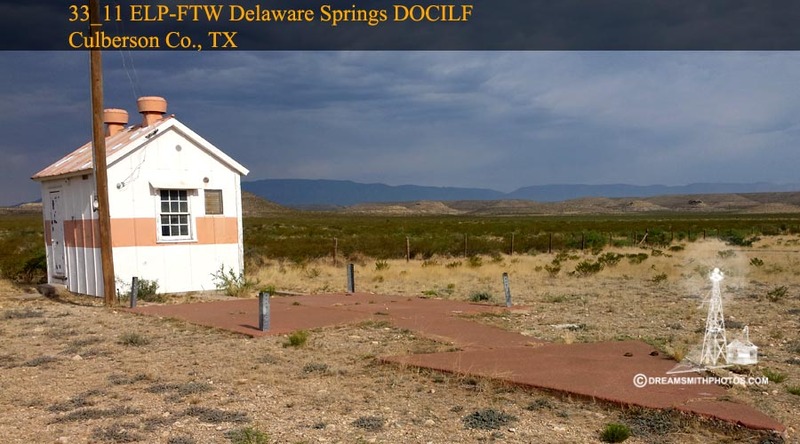 The 11 ELP-FTW Delaware Springs Arrow is located approximately 9 miles off of Hwy 652, at the end of Road #1108. Road #1108 is a well maintained asphalt road. 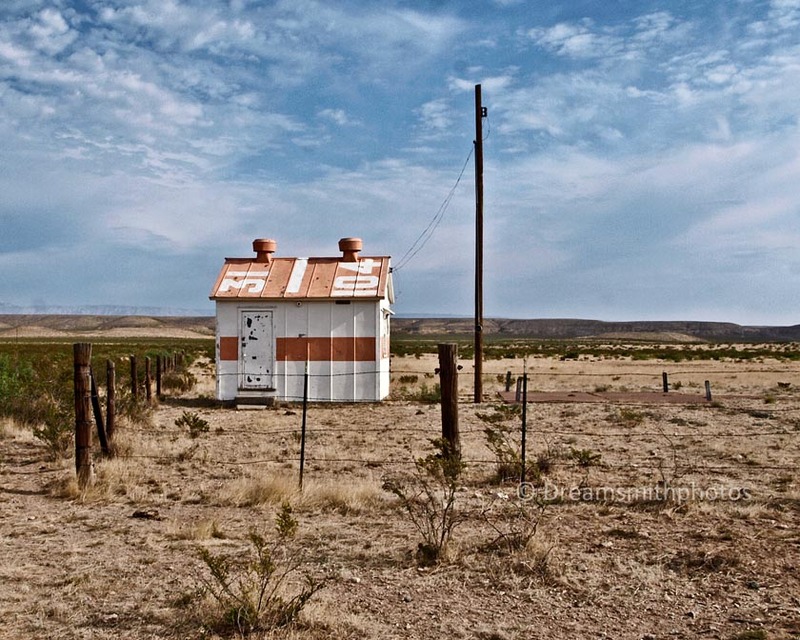 This area of Texas is a very large & beautiful valley with scattered cattle ranches. The arrow is basically complete and in good condition. All that remains of the shaft that connects the pad to the generator shed and the beacon pad is several concrete foundations. The total length of the arrow is 65 feet. The pilot would approach the tail of the arrow on a compass heading of 82° (E), and then exit the arrow on a compass heading of 116° (E-SE). This site is located at an active private airport, so under Federal Law no aerial drone photos were taken.